The disadvantages and advantages, pros and cons of homeschooling. Why not Homeschool? Objections you may hear about why you shouldn’t homeschool your children, and reasons you can give to counter these arguments. Weighing the homeschooling pros and cons can help you make the right choice for you and your child. While the benefits of homeschooling are many, going through a homeschooling pros and cons list can prove immensely beneficial! How can you respond when someone calls you these things? Commonly asked questions about socialization, answers, and lots of links. Are there Valid Reasons for Homeschooling? Is it wrong to choose homeschooling because you are running from the public schools and not for some “higher” reason? Karen M. Gibson, July 1999 HEART to HEART News. This is a new idea. How do you know it will work? The shared government school experience is essential to our nation. Government schools were good enough for us, so they should be good enough for our children. By Fred Worth. One final argument I sometimes hear is rather unique in that it doesn’t focus on the child, but on the parent – that the parent is “selfish.” By Antonio Bueller. Answered by John Holt. Help for those facing too many objections to their decision to homeschool. I’m jealous of my friends who send their children to school. They have so much time for themselves. I never have a moment’s peace. HELP! From Harried Homeschooler. Does Home Schooling Hurt Kids? CNN Crossfire. Aired September 3, 2001. Host Bill Press, on the left. On the right Tucker Carlson. In the crossfire, Michael Ferris, general counsel to the Home School Legal Defense Association, and Gerald Tirozzi, executive director of the National Association of Secondary School Principals. Are you convinced about the value of homeschooling as far as education goes but uncertain about whether you are temperamentally suited to the task? MHLA. It’s only fair to know what you may be getting into! Super Sisters, a sub-section of PBS Parents online, appears akin to reality television shows, only occurring online and focusing on three sisters who are raising children. A recent post from one of the sisters features “school troubles” with her third grader. She also outlines her options to address the problems, one of which is homeschooling. Oct. 17, 2013 — The results of a recent study show kids that are home-schooled are leaner than kids attending traditional schools. The results challenge the theory that children spending more time at home may be at risk for excessive weight gain. 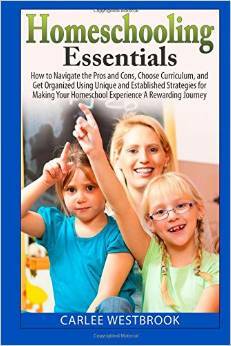 If you are leaning in the direction of homeschooling your child, you will feel confident you have all the facts after reading this book. I have included proven steps and strategies on how to take on the all-important role of your child’s teacher. And I should know, I have homeschooled all 3 of my children with great success! I have packed in numerous resources for finding materials to make sure this is the only tool you need to give your child everything they require to succeed. Homeschooling, the chance of a lifetime! I would encourage anyone to homechool if it “feels” right to you. Make a list of pros and cons, judge whether or not you (or whoever will be teaching her) can work together and try it. If the child is not being happily socialized now, you have nothing to lose. By Martha Kate Downey. Where did this mother even come from? I certainly don’t know anyone who fits this description. But she has plagued me for many years now. I cannot live up to her. When I accept my best as my best things are fine. By Danielle. I remember the first time of many times I cried, certain that I was ruining my son’s life with my oddball ideas and non-traditional approach. By Gail Nagasako is a homeschooling mother of one and the founder of HAPPY, a homeschool support group in the state of Hawaii. The paper relies on federal state action doctrine and state constitution education clauses to argue that states must – not may or should – regulate homeschooling to ensure that parents provide their children with a basic minimum education and check rampant forms of sexism. By Kim Yuracko, Northwestern University School of Law. Many people assume that home education is extremely time-consuming for the parents. In a way this is true, because education happens all day long. Is Home School Right for Your Kids? The first and most frightening thing for parents is that homesechooling places the responsibility for their child’s education squarely in their lap. By Laura Pickford Ramirez. To help other parents who are considering homeschooling, here is a new list of pros and cons. This list is based on both my experience and the experiences of dozens of families who’ve shared with me the ups and downs of their day-to-day homeschooling. by Isabel Shaw. To help other parents who’re considering homeschooling, I’ve compiled a new list of pros and cons. This list is based on both my experience and the experiences of dozens of families who’ve shared with me the ups and downs of their day-to-day homeschooling. By Isabel Shaw. Have you noticed how hard it is to find someone who will give you the pros and the cons? You know, together? The anti-homeschooling brigade doesn’t know the good stuff; homeschoolers don’t want to scare you off with any hint of difficulty, and anyway we’re so sick of all the criticism we have to field from civilians that many of us are in Persistent Cheerleading Mode when it comes to the subject of homeschooling. By The Bitter Homeschooler, from Secular Homeschooling, Issue #7, July 2009. You’ve read about them in homeschooling articles, you’ve heard them brought up in conversaion, and you may have even written a letter or blog entry defending against them – that’s right, we’re talking about the CONS OF HOMESCHOOLING. (Insert suspense movie music here.) By Tammy Takahashi. Should You Home-School Your Child? But what about your child or children? Should you consider home-schooling them? Perhaps this internal debate will help clarify. By Marty Nemko Ph.D.
Jill Manty writes: As a public school teacher, I never met a successful homeschool family. Why? Because they were busy homeschooling, and their kids weren’t in and out of the school system. This then led to a long discussion about what makes a homeschool family unsuccessful. So much for supportive, helpful comments about homeschooling by experienced parents. 1. Your spouse is not in agreement. 2. Your child does not want to homeschool. 3. All your friends are doing it. By Heather Sanders. My husband has always felt that was our calling as a family–to teach our kids at home, on our own schedule, so that we could travel, be independent, and not accountable to any institution. But it has never been my calling–and in the past I have scoffed at the thought. What was school like for you? I usually get one of two responses to this question: either general memories of intense boredom and frustration, or an enthusiastic description of one or two really good teachers who provided an inspiring, enlightening, mind-expanding experience.